Our friends at PACE have a FREE Gifted & Talented Open House this Wednesday, November 5th that’s not to be missed if you are looking to explore elementary G&T school options for Kindergarten through 3rd grade. 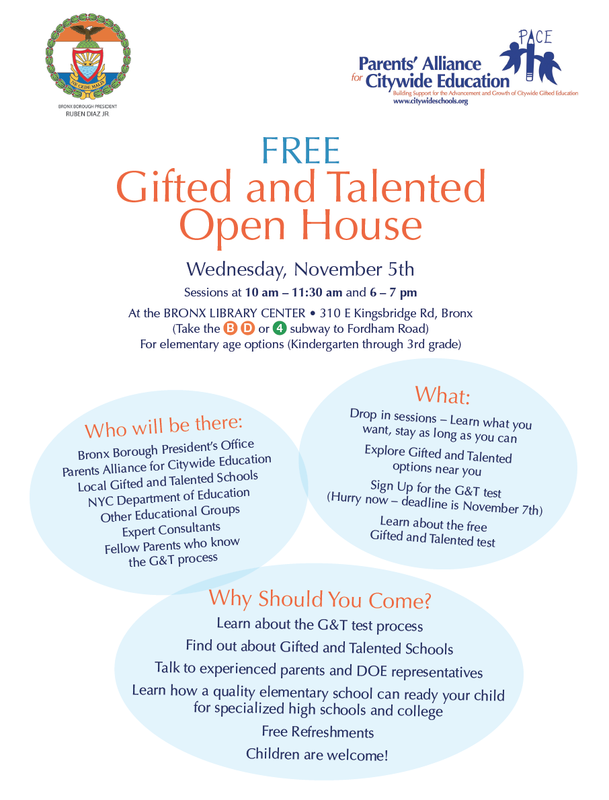 The Office of Bronx Borough President, Ruben Diaz, Jr. and PACE (Parents’ Alliance for Citywide Education) will co-host a Gifted & Talented Education Open House providing information about New York City’s Citywide Gifted & Talented (G&T) elementary schools, Bronx district G&T programs and other accelerated education options. The groups will hold two events on Wednesday, November 5th at the Bronx Library Center – one at 10-11:30am and another at 6-7pm. In addition to gathering information on educational options, attendees can sign up on site for the free G&T test offered by the DOE. Among the five boroughs of New York City, Bronx children are tested at the lowest rate per capita, according to DOE statistics. This can change with better outreach to all Bronx communities. The PACE group believes if more parents have their children tested, the demand for accelerated programs will grow in the Bronx. “As a borough we continue to push for educational excellence and options for all of our students,” says Bronx Borough President Ruben Diaz, Jr. “When looking at the gifted and talented students in the Bronx, we know we have to do the work of educating and supporting parents to make informed decisions about the educational trajectory of their children. 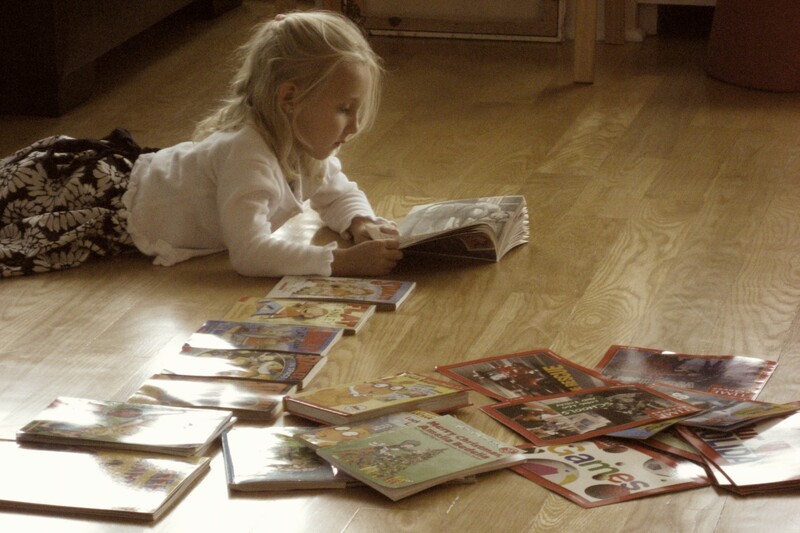 PACE is an organization founded by parents who represent each of New York City’s Citywide G&T schools and programs: The Anderson School, NEST+m and TAG Young Scholars in Manhattan, Brooklyn School of Inquiry, and STEM Academy at PS 85Q (transitioning to the 30th Avenue School) in Queens. 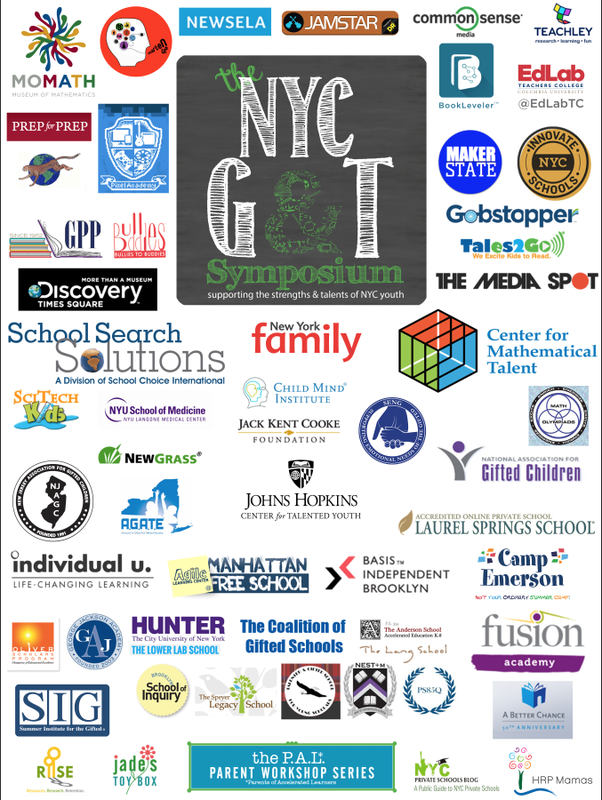 • Sharing experience, learning, and practices among parents at Citywide gifted and talented schools and programs.